Pennsylvania is a gorgeous state. With all the beauty of New England available to it, plus an array of natural wonders, there’s a lot worth protecting in the Keystone state. But it can be hard to enjoy your own state when you’re constantly grabbling with sky-high utility bills. How can you do your part to help keep Pennsylvania green and save your own pocket book? There is a solution. How about considering solar energy? Solar energy is both a fantastic way to save money on your electric bills and help save the environment. Question? Talk to trusted Installers near your Pennsylvania home today, and see your costs and savings! It’s absolutely free and you are not obligated to buy anything. Solar energy simply makes sense in Pennsylvania. As of right now, Pennsylvania is actually one of the largest solar employers in the state. Like many states in New England, Pennsylvania is dedicated to growing renewable industries. Solar energy is just one of many ways to help reduce reliance on non-renewable energy. For you, as a resident, adopting a solar panel system in Pennsylvania makes sense. It’s a fantastic way to both save money and add value to your home. Pennsylvania’s RPS, or renewable portfolio standard, is actually pretty competitive with other states. A renewable portfolio standard calls for a certain percentage of a state’s energy to be produced by renewable energy sources, such as solar or wind. By 2021, Pennsylvania hopes to produce 18.02% of its energy from renewable sources. What’s interesting about Pennsylvania is that its RPS plan is split into two tiers. Tier 1 calls for 8% of the state’s energy to come from Tier 1 solar panels installations, such as residential solar, wind, and low impact hydroelectric. To qualify as Tier 1, the energy must have been produced in state. Tier 2 can be filled by other resources, such as large-scale hydroelectricity, which remains controversial due to possible environmental impact. 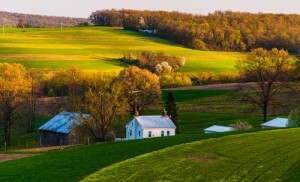 Pennsylvania calls for a specific solar carve-out of .5%. Which means that 5% of the state’s RPS plan must be met by solar alone, which Pennsylvania is already on the way to fulfilling. Utility companies have a lot of incentive when it comes to residential installations since it’s typically easier for a utility company to simply buy energy from a resident as opposed to produce solar energy themselves. The fact that Pennsylvania has set aside a strong solar carve-out is good news for you since this can help promote residential solar energy and competitive performance payments. You can indeed save money by going solar in Pennsylvania. On average, most residents can save upwards of $219 on their utility bills each year simply by leasing or buying a solar PV system. As you already know, a little bit goes a long way. By going solar, you can save a significant amount of cash over the lifetime of the system.Depending on your unique situation, you may even be able to turn a profit. Consider what you already spend on your utilities. Even by simply leasing a system, you may be able to cut your utilities in half or pay virtually nothing. You can get solar quote here. Let’s consider your average 5kW system, which is about the average size of most consumer installations. The initial cost of the solar power system is usually about $25,000. Available tax credits and rebates (once Pennsylvania’s solar rebate program comes back) can help drive down the cost of the system. But regardless, you should be saving anywhere from $200 to $800 a year depending on both your energy needs and whether you’ve bought or leased the solar panel system. Your PV system will, on average, pay for itself within twelve years, which is not a bad investment at all. Over an additional thirteen years, you may see profits of up to $25,000 or more, along with adding up to $16,000 in additional home value to your property. The above figures are just an estimate. As everty home is unique, costs and savings may very from to home. To know your exact costs and savings, talk to one of our trusted installers near you. A quick assessment of your home can save you big. you can try it now. it’s absolutely free and with no strings attached. When you take potential savings into account, a solar PV system could be a fantastic investment for you. Between potential profits and energy savings, your wallet and the environment will be happy with your choice to consider solar. Unsure of whether to take the leap? Talk to one of our trusted solar experts today to find out what you can stand to gain. The average Pennsylvanian pays about $.14/kwh for their energy. This is only slightly higher than the national average. But by going solar, you can both reduce these costs and reduce your own dependence on non-renewable energy sources, such as coal or fossil fuels, which can damage the environment and come in limited quantities. A few years ago, Pennsylvania offered the Pennsylvania Sunshine program. The program was a huge success and was a huge part of encouraging Pennsylvanian residents to adopt solar electricity. Unfortunately, funding for the program ran out in 2013. There’s no word on when the program will be revived but there is a good possibility that you may be able to enjoy the Pennsylvania Sunshine program again once the program receives proper funding. Pennsylvania does not offer any state tax credits for solar energy. However, players can enjoy a 30% Federal solar tax credit. This tax credit, which covers 30% of the system’s cost, will expire in 2016 and is available for systems installed in or before 2016. If you’d like to take advantage of the Federal tax credit, act quickly. Unfortunately, Pennsylvania does not have a property tax exemption either, which is unfortunate when you consider how much value a solar panel system adds onto your own home. Pennsylvania does not feature a sales tax exemption either. Also unfortunate. A sales tax exemption on solar panel systems can be a fantastic way to help encourage people to adopt the systems. There’s no denying that $25,000 can be a hefty investment. For many people, it can be unobtainable even when tax credits are factored in. Luckily, you have option of leasing a solar panel system, which will allow you to obtain one for zero money down. For many people, this can be an ideal solution to being able to experience the power of the sun. Is it Worth Investing in Residential Solar Energy in Pennsylvania? While Pennsylvania has a lot to improve on when it comes to tax exemptions or rebate programs, there’s still a lot you can expect to gain from adopting residential solar energy. Solar energy can help you significantly reduce your utility bills as well as allow you to turn a gradual profit over the lifetime of the machine. Whether you lease or buy the system, there’s still a lot you can expect to gain from your solar PV system. Wish to know how much you stand to save? 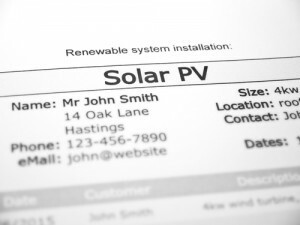 Fill in our online form, and talk to local solar experts abour your home energy needs. It’s 100% and with no strings attached. really. 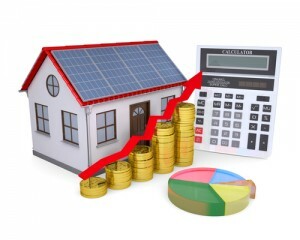 When you lease a solar panel system, you can expect to gain a solar PV system for zero money down. You’ll then be responsible for monthly lease payments as well as whatever you’re still paying on your utilities. Most lease agreements last for about 20-25 years. Depending on the terms of your lease you may have the ability to purchase the system later, which can be an option worth considering if you would like to take advantage of all the benefits of solar panel system ownership. As of right now, the only major incentive available to solar panel system owners is the ITC 30% Federal tax credit. But keep your eye open for the Pennsylvania Solar program. While it’s currently defunct, it is expected to resume once the program receives the necessary funding. Still, Pennsylvania could stand to see a lot of improvement in this area. Whether you feel what is available to you right now would be helpful enough to consider making the investment is up to you. Can I Lease the System in Pennsylvania? Should I Buy it Instead? Whether you lease or buy your solar PV system depends on you. By leasing a system you can obtain one for zero money down, with only lease payments and whatever you pay for utilities to worry about. But by buying a system, you can expect to gain any potential incentives and tax credits for yourself, even though they are hard to come by in Pennsylvania. Still, if you’re thinking about what option to go with, take your unique financial situation into account. If making a $25,000 investment is out of the question right now but you would still like to enjoy solar energy, leasing the system can be a fantastic option to consider and you’ll still be able to purchase the solar system after your lease expires, depending on the terms of your lease. Question? Why not talk to solar professionals in your area? a friendly installer can help answer all of your questions, and guide you to the best option for you. What About Net Metering in Pennsylvania? Net metering is worth considering in Pennsylvania. What is net metering? It is a process that involves connecting your solar pv system to the general electric grid. The energy produced by your system is monitored and any surplus energy you don’t use is sold back to your utility company. In Pennsylvania, this surplus is marked as credits on your electric bill, which can be redeemed from month to month. If you don’t redeem your credits at the end of the year, your utility company will then write you a check for all the surplus energy your system has produced. You may also want to consider performance payments. The SREC program, or Solar Renewable Energy Credits, is just that. 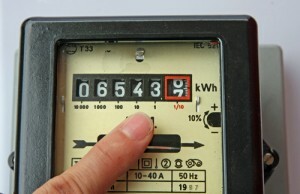 Your surplus energy can be sold as credits back to your utility company at market prices. There is a lot of incentive for your utility company to accept SRECs since it’s often easier for utility companies to buy solar energy from residents than to produce it themselves. If you live in Pennsylvania, there’s a lot you can stand to gain from adopting solar energy. Pennsylvania has a lot of natural beauty to offer. As a resident, there’s a lot you can expect to gain from adopting solar energy on your own. Along with combating rising utility costs, you can become less dependent on the general electric grid. Within about twelve years, your system’s output may actually cover the initial investment, which can be up to $25,000 for a 5kW system. Over an additional thirteen years you may even be able to turn a profit of $25,000 or more. While Pennsylvania is decidedly lacking when it comes to incentives and tax credits, Pennsylvania still has a lot to offer. The 30% Federal tax credit is still available. And once funding resumes for the Pennsylvania Solar program, expect to benefit from that. Buying a solar panel system can be a hefty investment even when you consider the potential utility savings and profit your machine can produce. But if you’re unable to make that initial investment, you can always consider leasing your system. By leasing your system you can obtain one for zero money down with the option of later buying your system for yourself. To save money on your utility bills, consider net metering and performance payments. With net metering, you can both monitor and sell the energy your system produces back to your utility company. And with performance payments you can be rewarded for the surplus energy your system produces and enjoy a hefty check at the end of the year. There’s a lot of motivation to help keep Pennsylvania green. And with solar energy you can do both, plus save your own wallet and enjoy a bounty of energy savings. From improved home value to lower utility costs, there’s never been a better time to consider taking advantage of the power of the sun. Want to get started? You’re in luck. Get in touch with one of our teams of qualified solar panel installers in Pennsylvania. With your unique situation taken into consideration, you can find out how much solar can benefit you and what you can gain from this incredible and green investment.